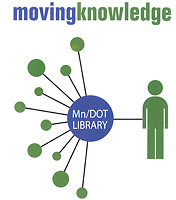 This guide provides information on how to sign up for direct notification (free e-mail alert) of various publications related to transportation. This section covers TRB (Transportation Research Board) and AASHTO (American Association of State Highway and Transportation Officials). Transportation Research E-Newsletter - weekly message announcing new TRB publications (ACRP, NCHRP, NCRRP, TCRP, TR News) and selected research from federal, state, academic, and international communities. To subscribe, visit www.trb.org/Publications/PubsTRBENewsletter.aspx. Transportation Research Record (TRR) - alert for the peer-reviewed journal of TRB. Employees of TRB sponsors (most state DOTs) should have full-text access to the content listed in a TRR alert. To subscribe, visit https://trrjournalonline.trb.org. To subscribe to one or both, enter your e-mail at news.transportation.org/Pages/Subscribe.aspx. No password required.